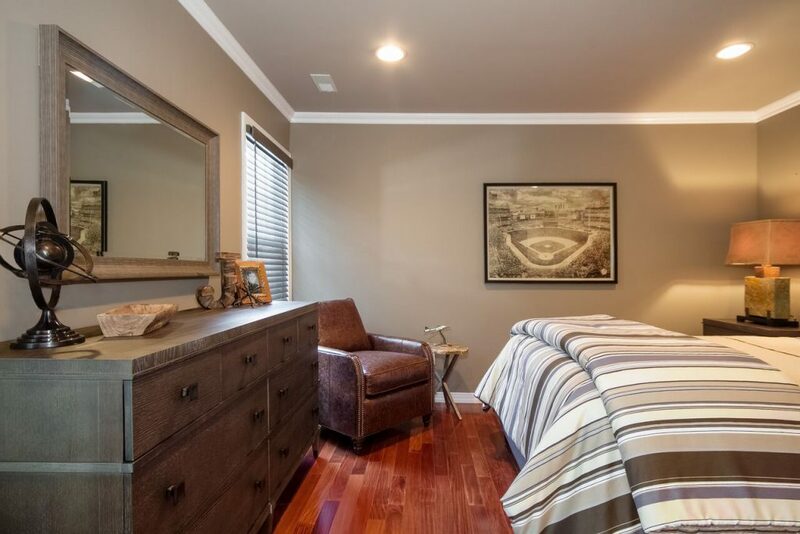 How do you design a boy’s bedroom with a baseball theme that isn’t trite? How do you say Yankees without the color blue? The Transitional Platform bed is upholstered in menswear charcoal tweed fabric with blackened nickel nailheads. The linens for the masculine bed are well suited in tailored stripes and plaids of khaki, charcoal and midnight. The dresser is classic transitional on the edge of modern. The wood is wire brushed taupe oak and the knobs are coppery brass softened squares. The large scale lamps have a heavy grey slate base with chunky coppery cube accents to mirror the square lines of the nightstands. 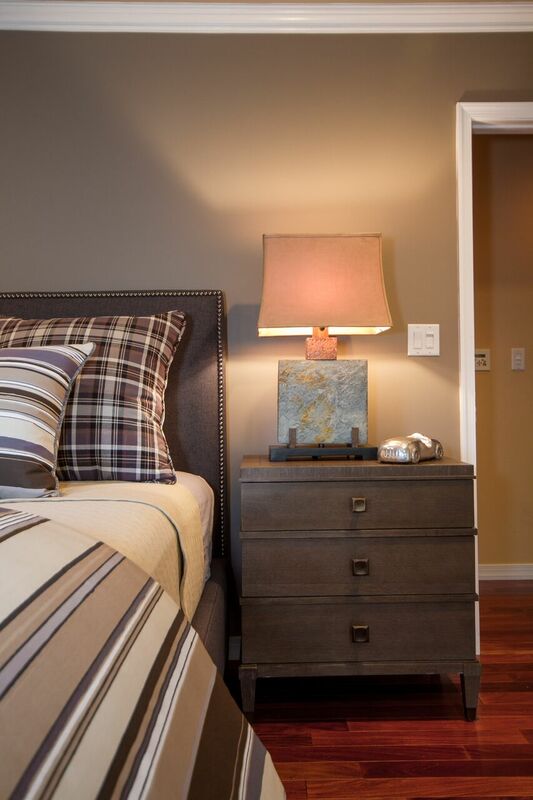 The nightstands feature power outlets which are perfect for charging devices and plugging in lamps. The walls of the boy cave are wrapped in Benjamin Moore AC33 Mesa Verde Tan and the ceiling color is a formula of 50%AC33/50% white. 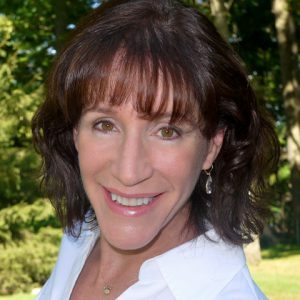 For more information on how I can transform any space in your home, contact me today.